The Cypher OTF is an A. Marfione / D.C. Munroe collaboration featuring exceptional custom detailing and precision craftsmanship. This model is equipped with a double edged blade in a Fallout finished. 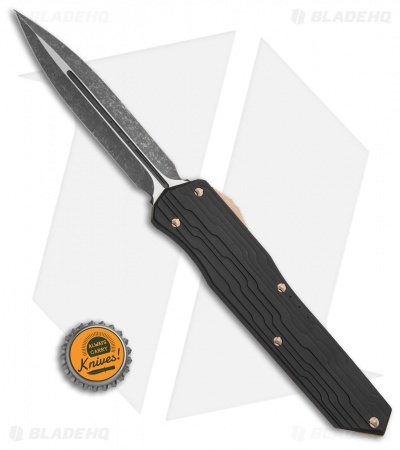 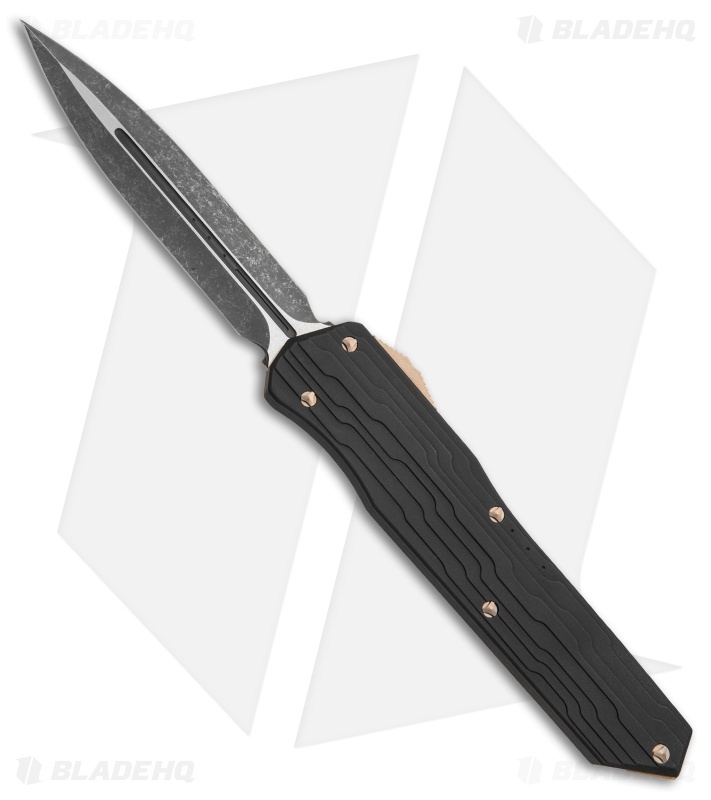 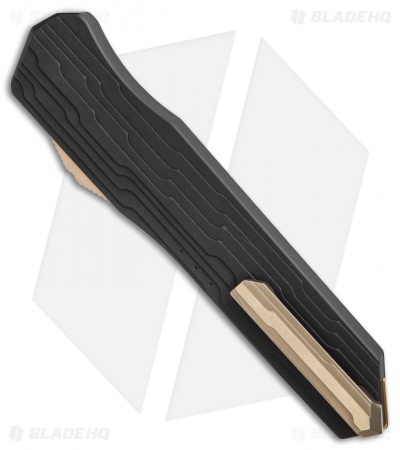 Its stylized handle is made from lightweight aluminum with a black anodized finish, a bronzed pocket clip, and bronze anodized hardware. 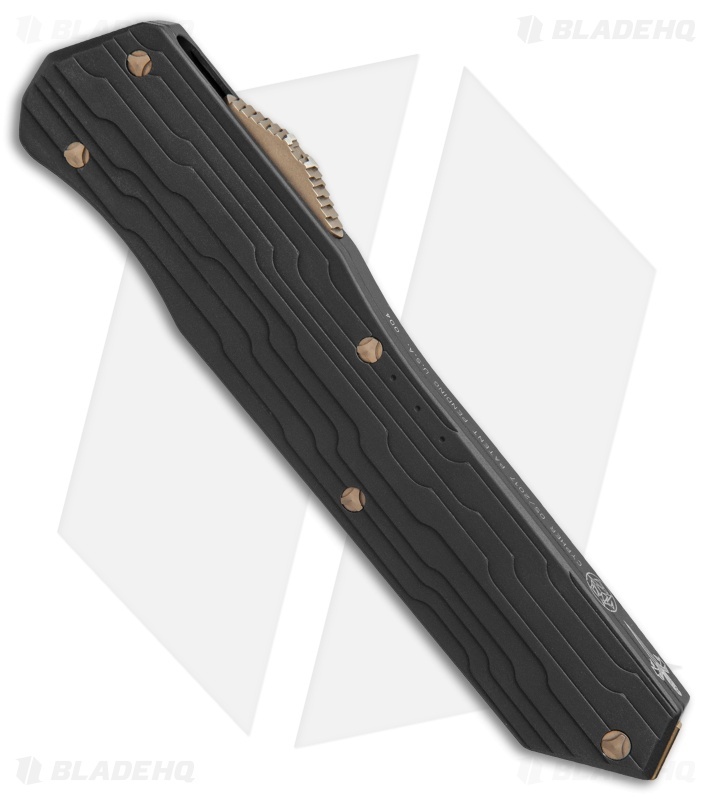 Unique stepped handle design with a bronze Ti pommel accent.